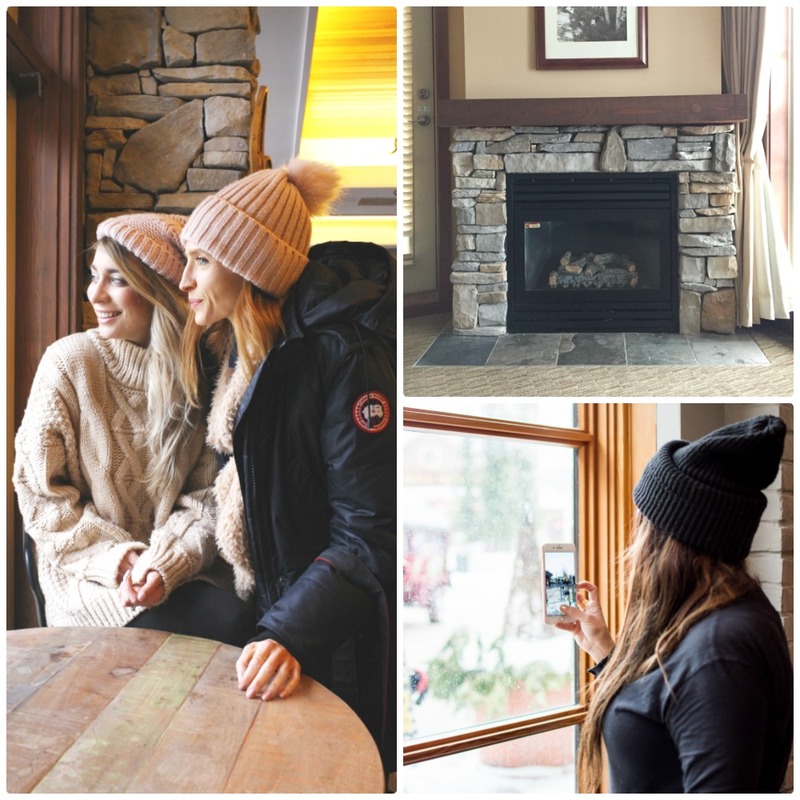 My Winter Escape At Blue Mountain | La Petite Noob | A Toronto-Based Fashion and Lifestyle Blog. 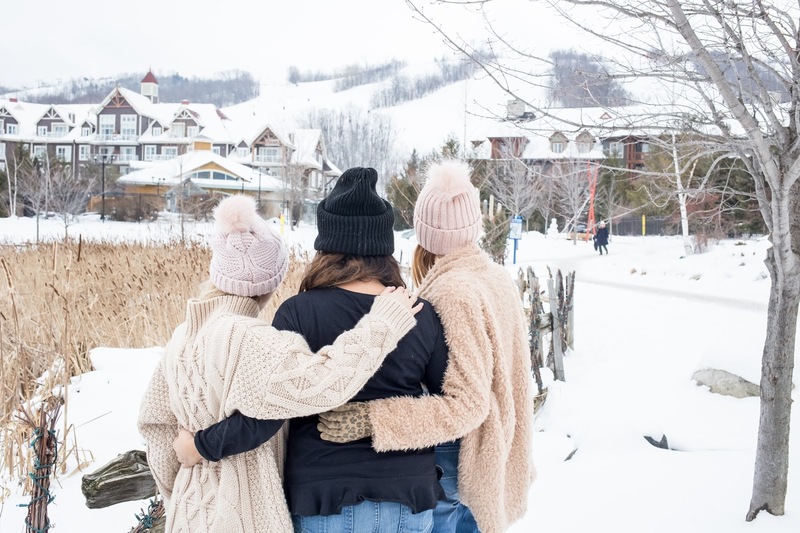 There really isn't anything better than a good girls trip -so when Gabriella, Rebecca, and myself all hopped into an SUV and took the quick drive from Toronto to Blue Mountain Resort, I knew that it was going to be an amazing weekend. First, I couldn't believe how close Blue Mountain is to Toronto. On the day that we left, it was one of the city's most brutal snow storms so the drive was very slow - and we still managed to get there in under two hours! 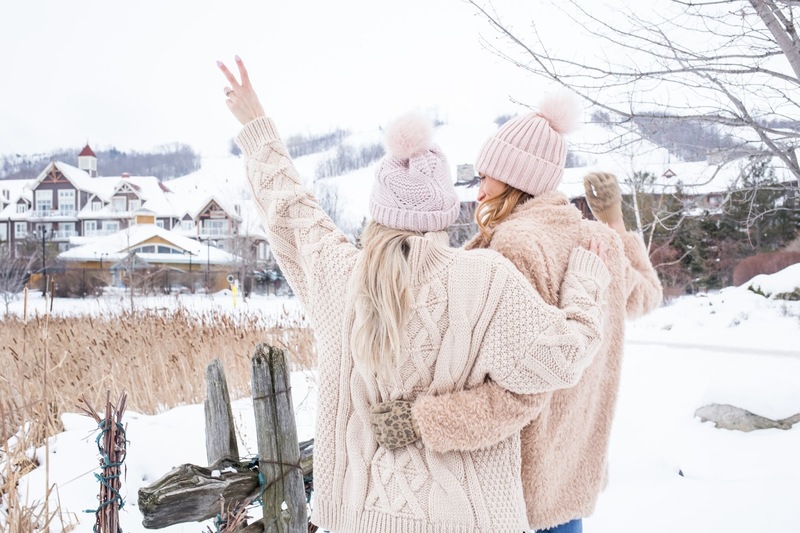 Between the girl-talk and the laughs, the time flew by and before we knew it we were driving into a winter wonderland and ready to start our first adventure. 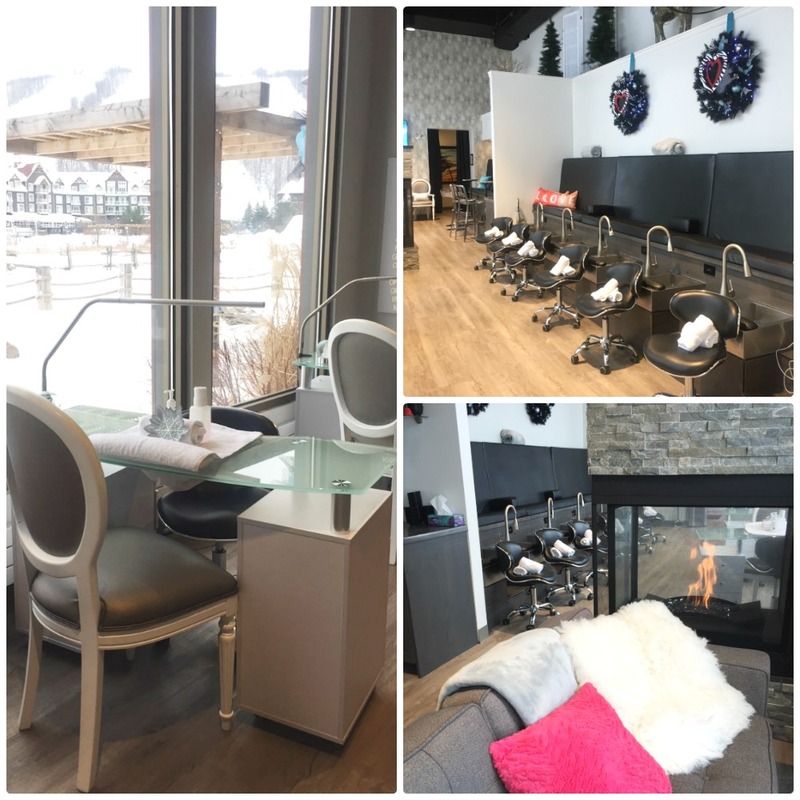 We started our adventure at the Scenic Caves for the Apple Pie Trails Full Moon fest, a night-time snowshoe trail with stops to enjoy food and beverages from local restaurants in Collingwood. The girls and I were all starving by this point so with our rented snowshoes and snow pants we set out on the trail! 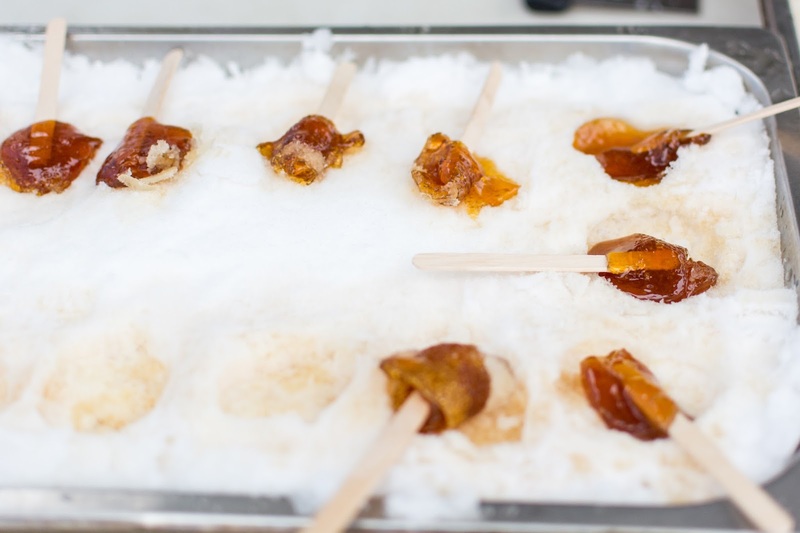 I knew that we were in for a great evening at our first stop; the food was absolutely incredible, the wine and cider was flowing and it was such a treat to be able to talk to the vendors at each booth, all of which owned or worked in the restaurants, wineries and breweries. Snow shooing between stops was definitely a challenge for these city girls, but the beautiful scenery and delicious eats made it all worth it. This was the first year for the Apple Pie Trail Full Moon Fest, it was a a great success! I know that we will all be back next year! After our snowshoe adventure we checked into our accommodations for the night, the Grand Georgian Hotel which is the most adorable winter-lodge type hotel with modern comforts. The girls and I squealed as we saw the size of the hotel room (seriously as big as my condo in Toronto), huge bed, and the in-room fireplace - so cute! We enjoyed some hotel-room shenanigans before venturing out for the night in Blue Mountain Village where the nightlife is no joke. We managed to stay out long enough to experience the energy that is Blue Mountain at night, and then passed out in anticipation of what else was to come. We began our second day with a visit to the Iwa Spa to enjoy a Gan Ban Restorative Yoga class. The yoga was done in a hot-rock sauna, on an actual hot-rock floor - incredible! The class was exactly what we needed after snowshoeing the night before, and it was an amazing way to start the day. I honestly could gush for hours about this yoga class, I enjoyed it so much. 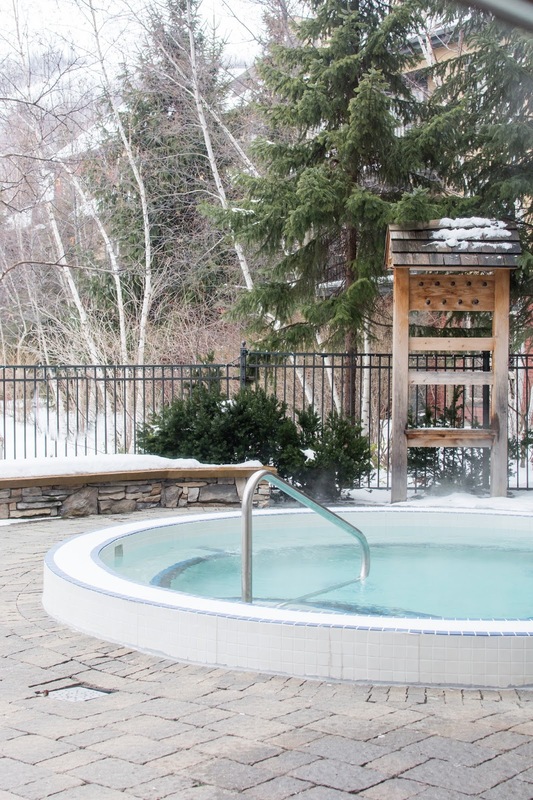 I need to visit Blue Mountain again soon, and spend an entire day at the Iwa Spa. By this point, the girls and I were starving. 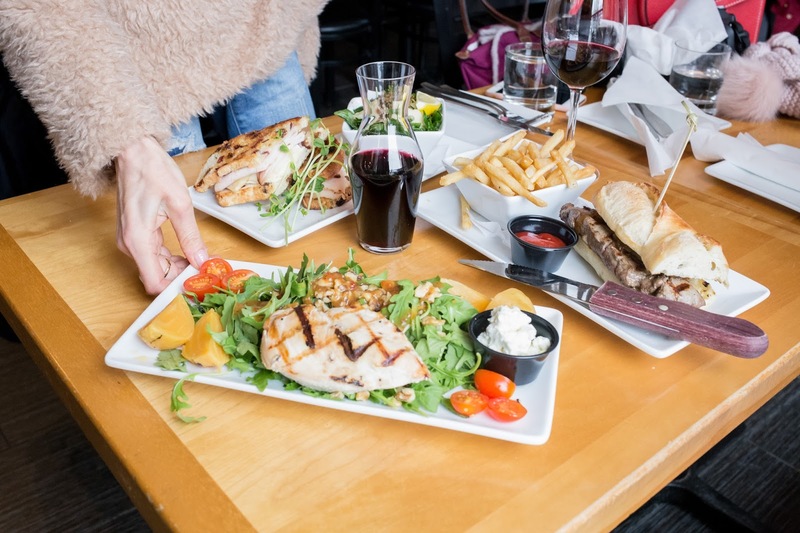 We had lunch at Copper Blues Bar & Grill and it was so tasty. Exactly what the doctor ordered. I'm so glad that we decided on Copper Blues for lunch, but it was a hard choice - there are so many places to eat in Blue Mountain! I loved seeing people ski and snowboard right up to the restaurants and go in for something to eat. Obviously you can't go to Blue Mountain and not touch on the winter sports. 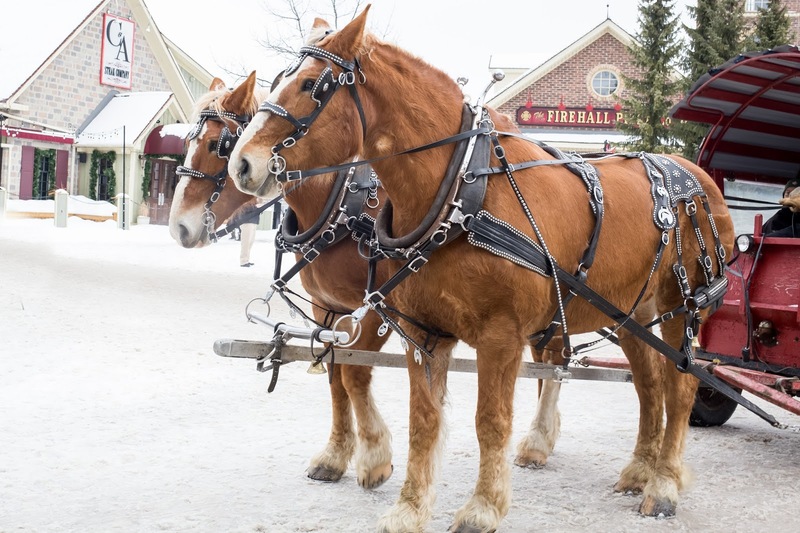 From skiing and snowboarding, to skating in a winter wonderland, there really isn't a loss of things to do! I so enjoyed our trip to Blue Mountain, and cannot wait until I have the opportunity to go back. 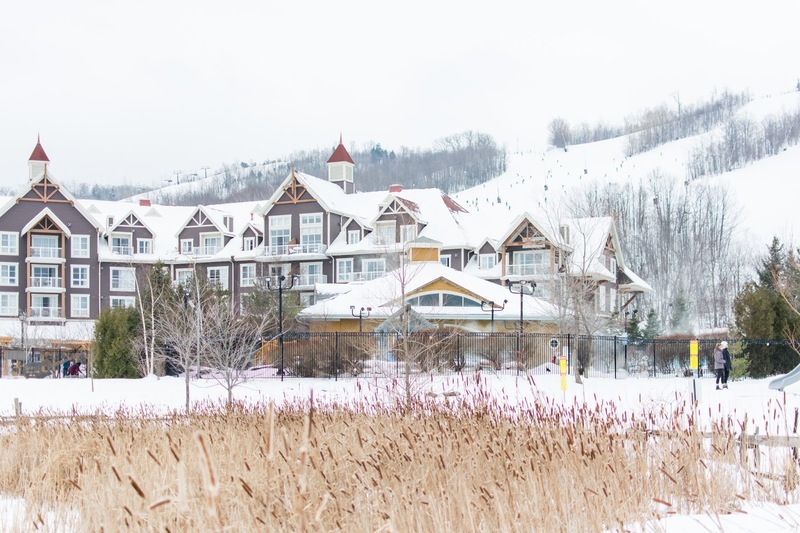 With such a short drive from the city, I definitely plan to make this amazing resort a part of my yearly winter itinerary and can't wait to visit again in the summer. What do you guys think? Have you ever been to Blue Mountain? 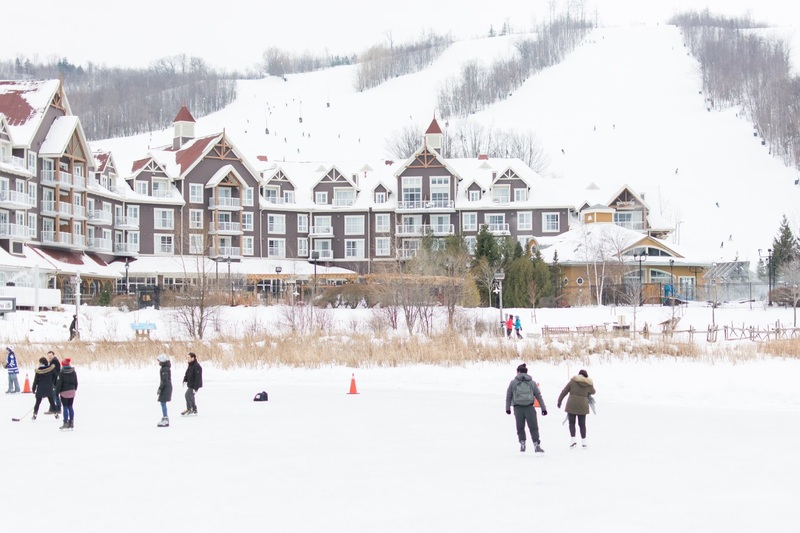 Have you ever visited a resort in the winter time? Let me know! Beautiful photos! Looks like a great time. Thank you Diana! This was such a great trip! It was such a fun trip! It so nice to know that there's a snowboarding hill close by, I haven't been since I lived in Ottawa!